﻿Willamette Week, Portland, Oregon's Pulitzer Prize–winning alt-weekly newspaper. 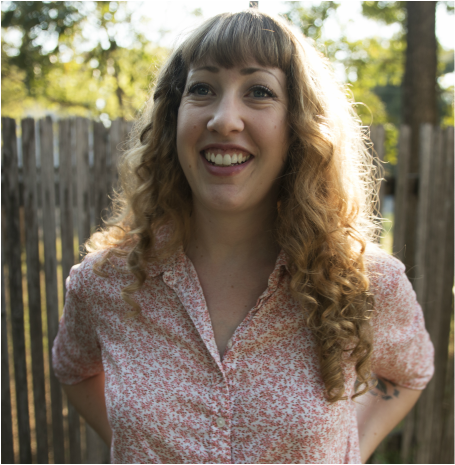 She has also written for SAIL magazine, Eugene Weekly, Loyola magazine, Edible Austin, and Finder, Willamette Week's annual, magazine-style guide to Portland. In addition to writing, she makes independent music, music videos, and movies with her partner and former shipmate, Jimmie. The duo’s first feature-length production, ﻿Operation: RAVEN﻿—which stars McCullough as tough-as-nails detective Sheila Raven—premiered in association with the Austin Film Festival in February of 2014. Their follow-up, Beast Lover, premiered the following November at Zed Fest in Burbank, California. Amy holds a Bachelor of Arts in Creative Writing from Loyola University Chicago and a Master of Arts in Geography from the University of Texas at Austin. She is currently a writer and editor for the Lady Bird Johnson Wildflower Center. The Box Wine Sailors is her first book. For high res images, press kit, and publicity-related inquiries, please contact ceck@chicagoreviewpress.com or csherry@chicagoreviewpress.com​.